Today I am grouping two sections into one: ears and eyes. They seem to go together naturally. What we look at and what we listen to can have a powerful impact on our lives for good or for evil. We do have the ability to choose what we see and hear to a great extent and so help to protect ourselves from negativity. The problem is that some of the bad stuff we have no control over, such as billboards or other public things that just pop up in our range of vision while we are out and about. And the same goes for what we hear when in public places. We cannot control what other people talk about or the kind of language they use. So we need the protection of the blood of Jesus to not only cleanse us but to protect us from those things making inroads into our souls and spirits. I claim the protection of the blood of Jesus over my ears, physical and spiritual, that the voice of the enemy will not penetrate into my mind or inner being. I will be cautious today about what I listen to (see Mark 4:24). By Your grace I declare I will not pay any to or entertain any half-truths, insinuations, roaring, whisperings, suggestions or lies from the devil. I claim the cleansing power of the blood to cleanse me from anything from the enemy which I have, in the past, allowed to enter my ears. Block my ears today from receiving anything with which the devil would try to beguile me—amuse, deceive, distract, divert, mislead, occupy or cheat me—and give me ears to hear and a heart to receive everything that You, Lord, have to say to me (see Matthew 11:15). I claim the protection of the blood of Jesus over my eyes, physical and spiritual. Keep me from looking at things not pleasing to You—ungodly television programs and ads; unholy e-mail or internet sites and videos; movies; magazines; books. Protect me from those things I cannot help but see in the natural as I go about my daily life. Keep the defilement from penetrating into my mind and my spirit. I claim the cleansing power of the blood to remove every trace of influence of those ungodly things which, uninvited, impose themselves on my eyes and ears as I move about in public places—drive or walk down the streets, go about duties at work or school, walk through the stores, sit in restaurants, doctors’ offices and elsewhere—and as I interact throughout the day with those people who hold mindsets and worldviews which differ from mine. Protect my spiritual eyes. Cause me to see Jesus always (see Hebrews 12:2) and to be aware of, sensitive and responsive to what You are doing, and what the enemy is attempting to do, in my life and the lives of those around me. Lord, grant me a new awakening and clarity of spiritual vision, because it is written that without it Your people will die (see Proverbs 29:18 KJV). Let’s make a conscious, deliberate choice to take care what we look at and what we listen to in our own homes, and to make good choices as to where we go in public places to lessen, when possible, the potential of seeing and hearing that which would contaminate our souls. As I said before, there are places we have to go where we have no choice but to be there. This is a good prayer to pray for our own protection and the protection of our families when there is no other option, such as work, school, doctors’ offices, stores and the like. Let’s do all we can to keep ourselves pure in the Lord. Let us fill our eyes and ears with good things so there is less room for anything else. I hope you have enjoyed Part 3 of my series on Prayer for Covering. 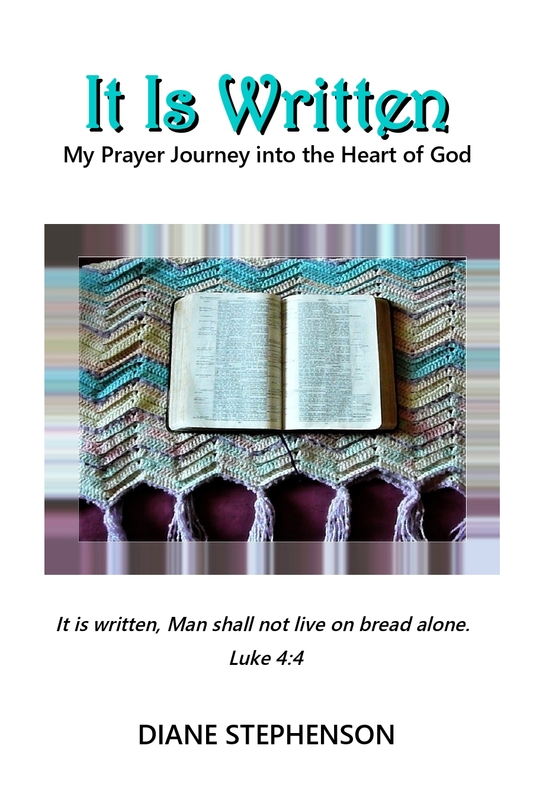 If you have not read the first two parts, click on Prayer for Covering for Part 1, and click here for Part 2. Just a reminder that this book is not yet published. Thank you so much for taking the time to visit and read my post. I would really like to know your thoughts on this and would appreciate it if you would leave a comment in the box below before you leave. Also, if you are not already following me, please take a moment to click on the “Follow” button above to receive e-mail updates of new posts. Have a wonderful day. May God bless you and yours. If you have not read the beginning of this prayer, click here before reading Part 2. This section concerns the covering of our hearts. Our hearts are very vulnerable, and can be easily wounded. Those wounds can take a long time to heal, and they often leave scars. People with wounded hearts often act out of their pain to wound others. We have to care for our hearts and keep them under the cover of the blood so they do not become hardened. We need hearts that are soft and malleable so the Holy Spirit can shape us and change us into the image of Jesus Christ. I claim the protection of the blood of Jesus over my heart. Let the things on which my heart ponders today be acceptable to You, Lord (see Psalm 19:14). Melt every last vestige of hardness and coldness in my heart with Your love until my heart becomes a deep, deep well of Your love ever flowing from me, and until my life pours out to You in continual worship. Lord, I want to know the overwhelming presence of Your love ruling in my heart. I do not just want to talk about it, hear about it, read about it or imagine it, but I want to daily experience it personally filling me every moment, and overflowing continuously out of my heart and life back to You and out to others. I do not ask You to enlarge my heart, Lord, but to enlarge Your place in my heart. I do not ask merely for more of You, Lord, but I offer You more of me—my whole being—so there is more room in my life for You. Consume me with Your love until my heart is wholly Yours, until there is nothing left there but an anointing of Your love, Your presence. Help me to access Your love in all its fullness. I want to feel Your heart beating within my heart. Several years ago I had a powerful vision during a church prayer meeting. I saw a pair of hands holding a heart and gently massaging fragrant oil into it. The vision lasted for several minutes at the time, but has never left me. There have been various applications for this over the intervening time, and whenever I remember it, it still affects me. I believe that is what the Lord wants to do with each of our hearts. If we allow him to do this, His healing hands will bring wholeness to our hearts so we can move forward in our relationship with Jesus and also with our relationships with the people in our lives. Lord, may we all yield to your tender touch. I hope you enjoy these short excerpts from the Prayer for Covering in my not-yet-finished book It Is Written. Please let me know what you think in the comment box below. I always love to hear from my readers. If you are not already following my blog, please take a moment to click on the “Follow” button at the top to receive e-mail notifications of future posts. Thank you for taking time to read this post. Be blessed today and every day. May the peace of Christ dwell in your hearts and minds. Have you ever lost something that you really liked? Maybe it wasn’t even valuable, or even necessary, but you miss it. Some years ago I sold jewelry through a network marketing company. These pieces featured Swarovski crystals. I purchased a few pieces for myself. One pair of earrings I particularly liked. They were simple yet elegant. One day when I decided to wear them I discovered I only had one of the pair. I looked all over but could not find it’s mate. Periodically I would check around on the floor under the dresser and in the drawers to double check, but never found that earring. This reminded me of the time, as a young child, I lost one of a pair of my mother’s earrings by dropping it accidentally down a knothole in the floor. I used to go back to that hole and look down it trying to see where that earring had landed. Of course it was impossible to see into the darkness of the space between the first and second floor of the house. One of my first posts on this site was about this. I apologize that the photos on those first posts have disappeared, but you can still read about it if you like. A couple of months back, I decided to give it one more try. I knew I had never come home with only one earring, so it had to be somewhere in my apartment. I scanned under the dresser one more time. Nothing. Then I decided to get my little flashlight and do a final search. I had little hope of finding it, but lo and behold! There it lay. Now I have a complete pair which I can wear. I am sure you can see by the picture why I like them so much. When I contemplated this the other day I realized that this state of being lost then found is just like we are before we come to the Lord. We are quite lost. Sometimes we are even aware that we are lost, but do not know how to be found. Just like that lost earring, we cannot find ourselves. We need someone to search us out. Then Jesus comes into the picture and “finds” us. He rescues us from the darkness and brings us out into the light so we can shine like those Swarovski crystals. We become useful in the Kingdom of God as we do His bidding. What have you lost that you would like to find again? Perhaps we should all ask ourselves what we have lost from our lives that we need to retrieve to be whole once again. Have we lost some of the fruit of the Spirit? Or perhaps some of our zeal for serving? Maybe we have “lost” our quality time with the Lord in prayer, reading of the word or just listening to Him. Is it time to invite Jesus to help us to find that place once again so we can be fully useful to the Lord? Is it time to recommit ourselves to Him and to serve His and others with our whole heart? These are questions we should ask ourselves on a regular basis so that anything we have lost can be found quickly and not take years to rediscover. Like my earring. Thank you so much for stopping by to read my post. It would make me happy if you would take a moment to add a comment in the box below. I will read it and respond. If you are not already following my blog, please take a moment to click on the “Follow” button at the top and you will receive e-mail notifications of my new posts. Have a wonderful week. God bless you and keep you. On Sunday afternoon I took a friend and we went to the Kinsmen sugar bush for a tour and a pancake breakfast. The day was perfect, chilly but not too cold and partly sunny. The only problem was the mud. Fortunately some of the path was covered with dead leaves and helped to prevent slipping. First we had breakfast with two pancakes and maple syrup with three sausages–maple flavored. Very tasty, and just enough to fill my empty stomach. The hot chocolate made the perfect finishing touch. really isn’t that far. There is a volunteer to explain each stop. There is a display to show how maple syrup was made for hundreds of years, then from about 1830 on up to the current equipment. It is all very interesting even though I have been there before. We both enjoyed ourselves and it felt good to be out in the fresh air after all the cold winter weather. Spring is here technically speaking, and the weather is beginning to prove it. In the photo above, you can actually see the sap bubbling up the plastic tubing to another line which takes it to the storage tank before going into the building where it is boiled into syrup. A very interesting process. It takes 40 gallons of sap to make one gallon of syrup. Amazing! And with today’s method it takes only hours to do what it would take days or weeks to accomplish a hundred years ago. Well, that was our Sunday afternoon. I hope you enjoyed reading about our outing. Thank you for stopping by and taking time to catch up on what I have been doing. I would really appreciate it if you would take a couple of minutes before you leave to put a comment in the box below. Let me know if you have been to a sugar bush and how you enjoyed it. If you are not already following my blog, please take a moment to click on the “Follow” button at the top to receive e-mail notifications of future posts. Have a wonder-filled day. May the Lord bless you and keep you. In yesterday’s post I mentioned a podcast I was invited to be on last week about developing a disciplined prayer life. I promised to share it with you once it was available. So if you are interested in listening to A Lifestyle of Prayer, please click here. While you are on the site, look around to see if there are other podcasts you might be interested in. If you like what you see, follow Chaplain Gray Stallworth. Thank you for stopping by again. I appreciate every visitor and follower. Please leave a comment below before you leave and let me know what you thought of the podcast. And if you are not already following me, please take a moment to click on the “Follow” button at the top to receive e-mail notifications so you don’t miss any posts. Have a wonderful day. I pray that the Lord will open the windows of heaven over your life and draw you into a deeper relationship with Him in prayer and communion. In the morning You will hear my voice. I was wondering what my next post should be about. Last Thursday, I was the guest on a podcast with Chaplain Gray Stallworth. You can also find him on his blog or on FaceBook. The topic was how to develop a disciplined prayer life. The recording will be available tomorrow, so I will post it when I can. I thought, since prayer is such a huge part of my life that perhaps I should share with you a prayer I wrote some months ago and pray almost every morning when I get up. At first I thought it would be good to wait until tomorrow morning to post this. But I thought, maybe some would like to know about this before morning so they can be prepared to pray it. So here it is. I want to say, “Good morning,” to You, Jesus, and to tell You how much I love You. Thank You for Your great love for me. Thank You that You care about everything that happens to me. Thank You that You are watching over my life and always interceding for me. Thank You for this day and for Your presence with me. Let me hear Your lovingkindnesses this morning. Thank You that they never cease and Your compassions never fail. I ask for Your discernment today—for my own life and in all my dealings with others. May my eagerness to serve You and minister to others not hinder, distort, misplace or override that discernment. Help me to let You be God fully in my life today. May I bring glory to You in all I say and do. Show me Your will for me for this day. Teach me the things I need to know. Reveal Yourself to me through the Word, prayer, meditation, dreams and visions, my circumstances and the words and examples of others. Give me a humble, repentant heart throughout this day. May I be quick to confess, repent and seek forgiveness. Give me grace to be quick to forgive all. Help me to bless others today. Keep me from hindering Your work. I choose to obey You today. Forgive me when I fail, and redirect me back to Your path. Help me to enter into the secret place with You. Teach me how to live from that place. May I never move outside of the unity of Your purpose. May I never grieve Your Holy Spirit. Keep me committed to and on track with Your call on my life for today. Help me to put aside every doubt and fear and to lay down every burden. May I not give offense to or be offended by others. Help me to guard my mind today, and to think only on those things which please You. Help me to watch over my heart today to protect it against every attempt of the enemy to muddy or stop up the flow of the springs of life. Prevent me from coming into agreement with the enemy. Keep me always alert to the devil’s tactics. May I sow only good seed into good soil in order to reap a good 100-fold harvest. Keep me continually connected to Your power. Help me to communicate clearly to others that which You have clearly communicated to me to be shared with them. Help me to be a strong support to others today. Show me specifically who and what You want me to pray for today and help me to pray aright. Help me to understand and empathize with the hearts of those You want me to minister to and pray for. Strengthen me to never give up, especially when the way is difficult or seems to be at an impasse. When the way is smooth and easy, keep me from becoming careless and complacent. Keep me in balance throughout this day. I choose to put on the full armor of God today. I declare that my weapons of warfare are ever ready for use. May I always be prompt, adept and accurate at using them. Apply the blood of Jesus to my life today to cleanse me and protect me from the enemy. May the angel/s You have assigned to me keep me continually moving forward on Your path, fulfilling Your will, and keep me far from anyone or anything which could be detrimental to me, or to others through association. Make me pure and holy. Prompt, perfect, protect and process my prayers today so they prevail. Filter them all through Your Holy Spirit so they come before Your throne of grace according to your will, not my own—free from all fleshly intent or error. Thank You, Jesus. Amen. I would encourage you to use this prayer if you like it and to use it on a daily basis. If you do not already have a designated prayer time, I would suggest that first thing in the morning, if it fits your schedule, is the best time to start. This prayer is a good launching pad into deeper prayer. Think about each separate section and expand the prayer. Meditate on it’s importance in your day, in your life. If you already have an established prayer time, then you may want to simply incorporate this prayer into that time. I will be publishing a book of prayers sometime, hopefully later this year, and this will be one of the prayers in it. Please feel free to share it with your friends, on your social media sites or to reblog it. Thank you so much for stopping by to read my posts. I really appreciate my readers. I would be happy if you would leave a comment in the box below. If you are not already following me, please take a moment to click on the ‘Follow’ button above and you will receive e-mail updates when I add new posts. Have a wonderful day. May the Lord richly bless you as you go deeper in prayer and relationship with Him.